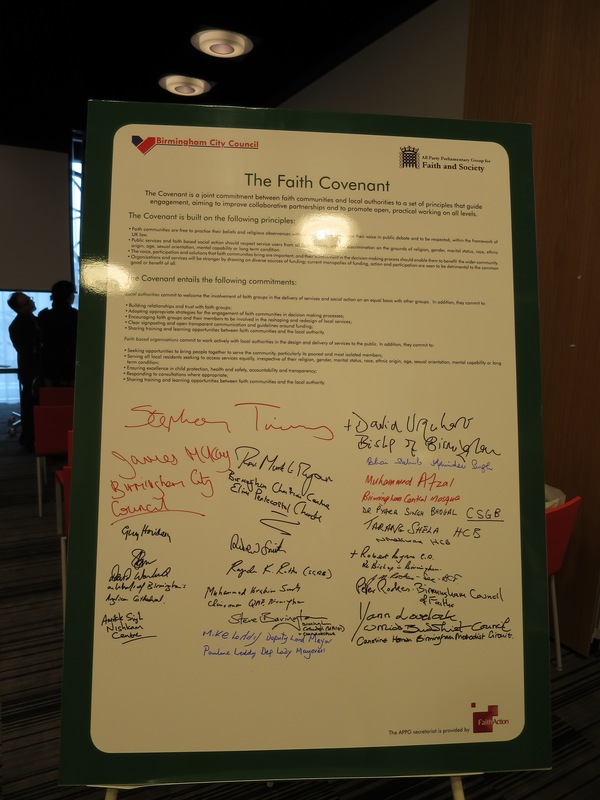 Birmingham City Council is the first local authority to respond to a call from the All Parliamentary Group (APPG) on Faith and Society for all local authorities across the UK to sign a newly developed ‘Faith Covenant’. 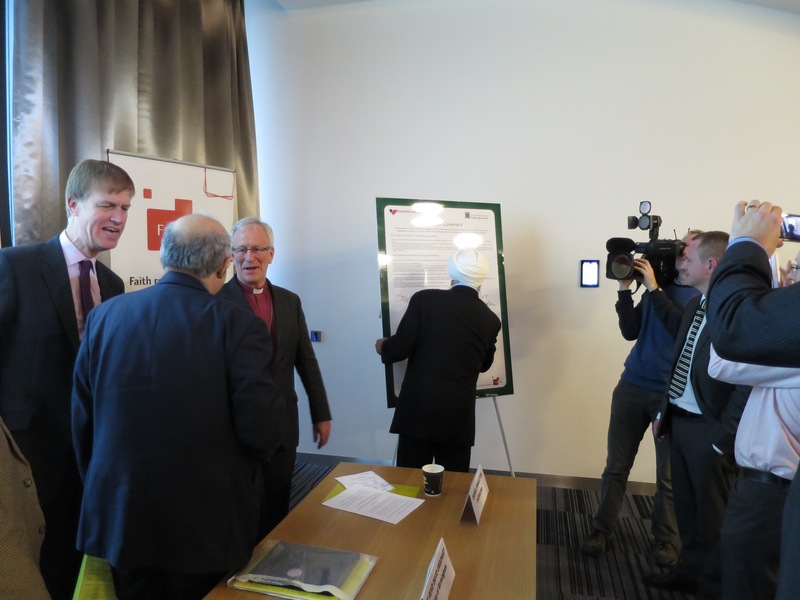 The City Council and faith group representatives signed the Covenant at a public launch held at the Library of Birmingham on Thursday 11th December 2014. 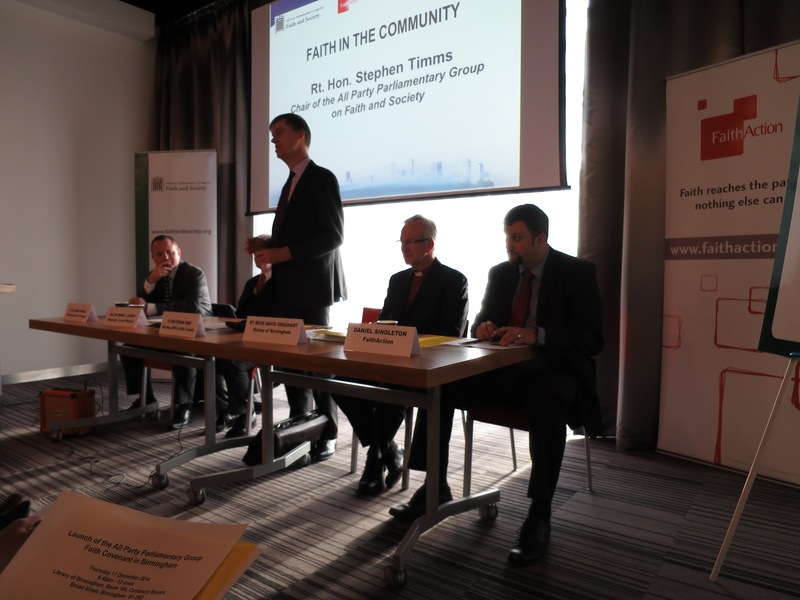 The Faith Covenant has been developed by the APPG on Faith and Society as a tool to facilitate partnership working between local authorities and faith groups. 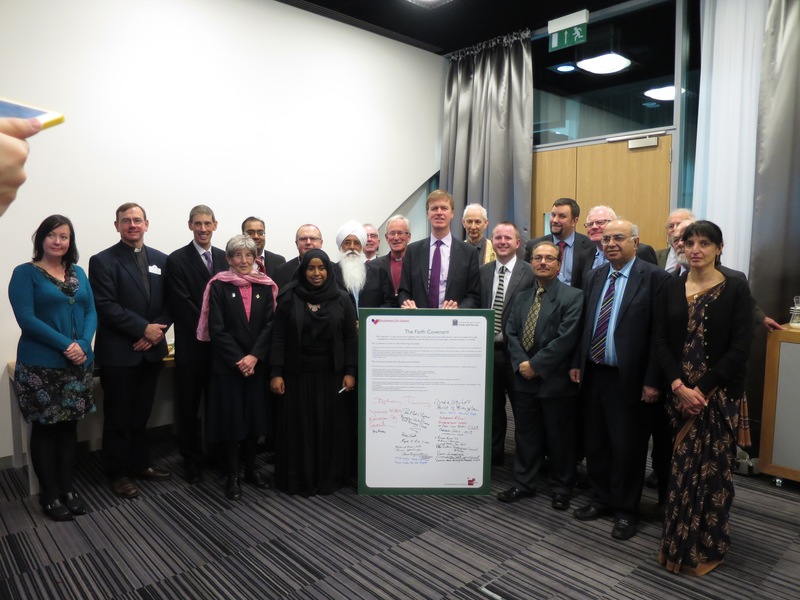 It is a joint commitment between faith communities and local authorities to a set of principles for working together, which aims to build trust and promote open, practical engagement on all levels. Faith communities have always been called upon to tackle hardship and need in our communities. It is the absolute bedrock of what it means to have faith, and people of faith were serving their communities long before the state ever woke up to the fact that it had responsibilities, too. 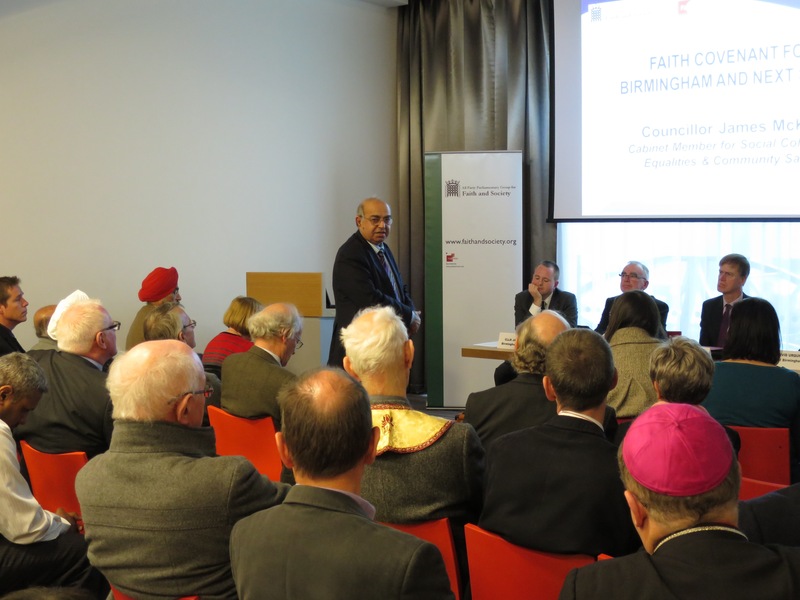 Every day our faith groups give an enormous amount to Birmingham, and do so in the ever-changing landscape of public services. The Faith Covenant provides a set of working principles that help us all get the biggest social benefit out of this partnership, as those public services continue to change. Organisations and services can only become stronger by working together in an open and generous way, with a shared set of values and principles to guide their activities on a daily basis. It’s a privilege to have launched the covenant in Birmingham today. It will help build partnership and trust between the authority and faith based organisations in the City. Local authorities face many challenges ahead. 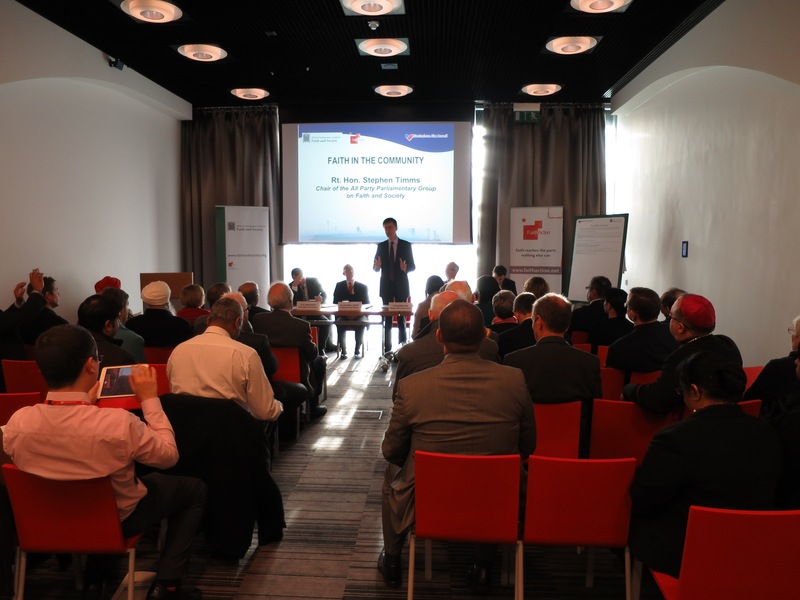 Birmingham City Council – Europe’s largest local authority – is right to recognise the potential of working with faith groups. I hope other Councils will now follow Birmingham’s lead. I would like to thank everyone who made the launch possible including the Council Leader, Sir Albert Bore, the Bishop of Birmingham, Rt Rev David Urquhart and the other faith leaders. I would like to also thank FaithAction who have been instrumental in the drafting of the covenant. FaithAction members are involved in making a positive difference to their communities through social action projects the length and breadth of the country. Faith really is too significant to ignore and here in Birmingham there are some fantastic examples of this. 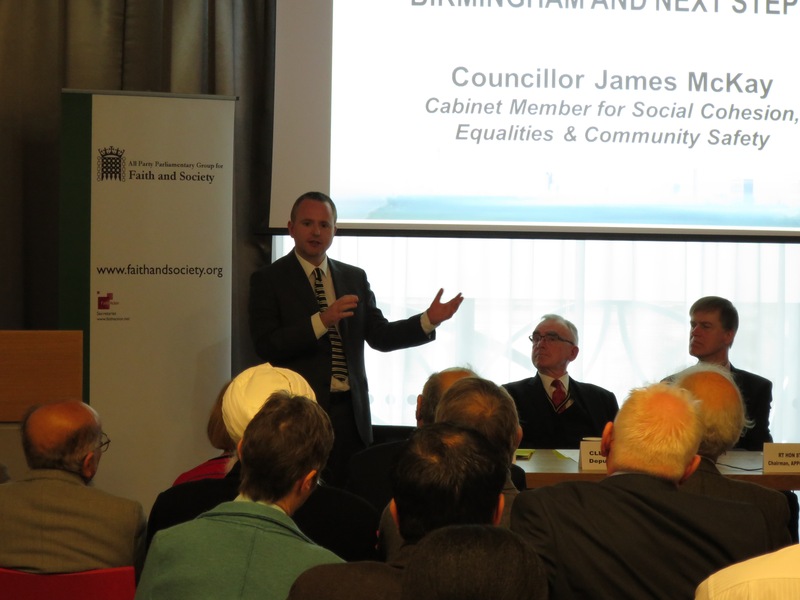 By leading the way, Birmingham City Council will encourage other local authorities across the UK to empower faith organisations to both expand their social action programmes whilst also providing greater transparency in their governance. 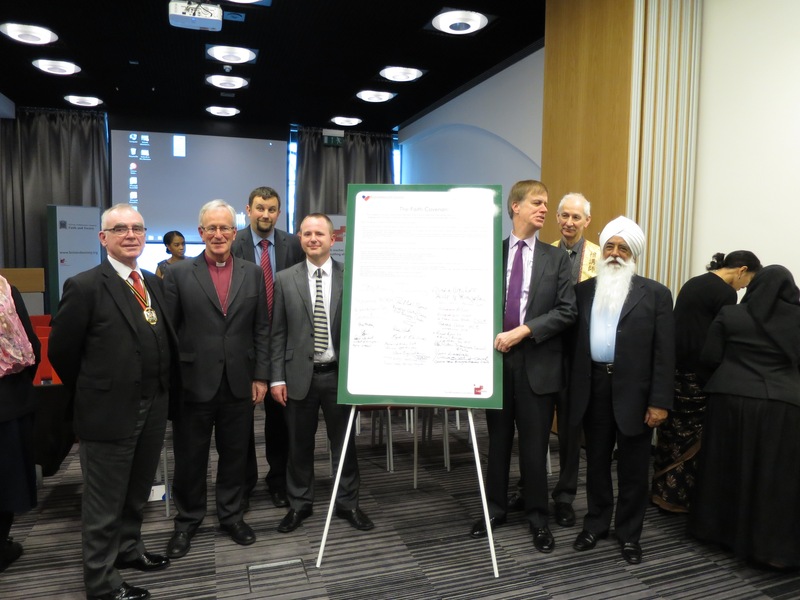 I am delighted that Birmingham has been chosen to launch the first Covenant between faiths and a Local Authority. This initiative heralds a new opportunity for understanding and cooperation so that people and organisations of faith can continue to make their full contribution to the needs and aspirations of society. Building on the experience of a vigorous Social Inclusion Process, I expect to see many exciting examples of enterprise, care and compassion in Birmingham in the years ahead. 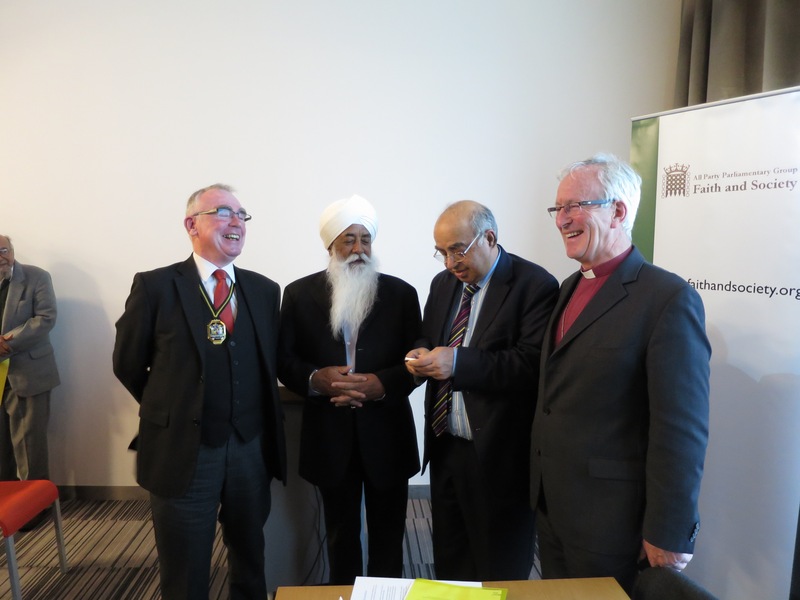 The Faith Covenant builds on the Millennium Shared Act of Reflection and Commitment and the launch of the inaugural Interfaith Week in the UK in 2009. These commitments offer faith groups an opportunity to participate as equal partners to develop effective and long-term ways of dialogue and mutual-learning – vital tenets for strategic decision making in our City. Furthermore, this unique Covenant builds on the “Big Society” agenda that seeks to give “citizens, communities and local government the power and the information they need to come together”. On a global level, we are seeing the resurgence of faith and it is too significant to ignore. As service providers, faith communities bring professional abilities and values like humility, compassion and cultural sensitivity to the public sphere. 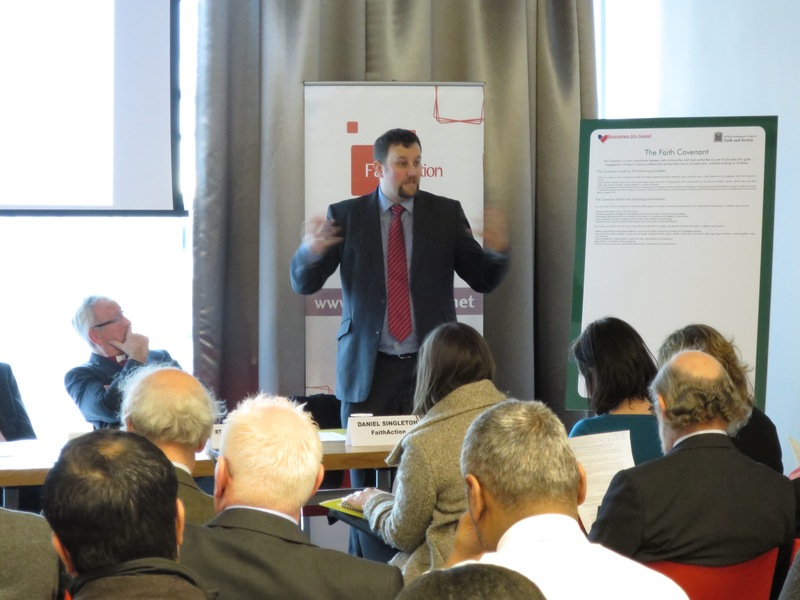 The cooperation between local government and faith communities is a significant development and we thank the APPG and FaithAction for taking a lead on this work.